Trigonometry = Hell...... There is no Jesus here. Jesus didn't save him/her because Jesus isn't real. 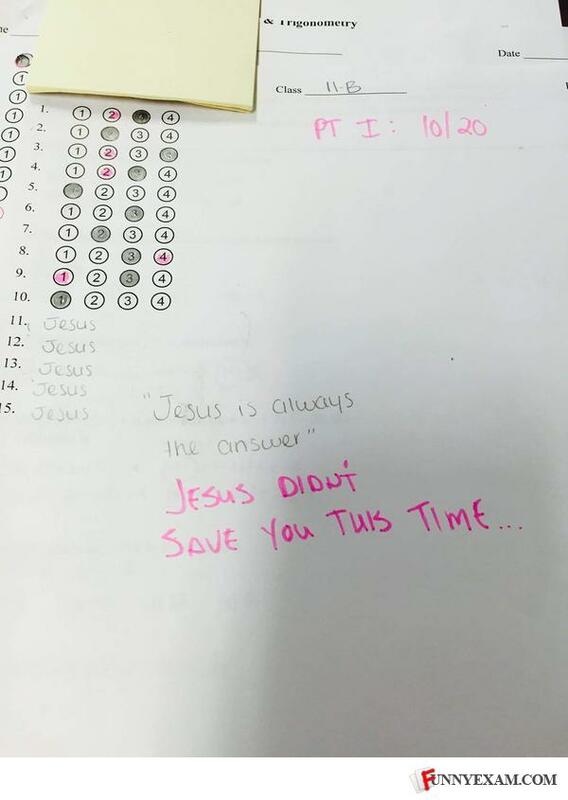 The student thought Jesus saves grades! Jesus didn't save his grade this time because he was busy.